A favourite among students and staff…Come along and dunk a student or maybe even a teacher! A classic ride at all carnivals, come and have a spin on this family favourite! Suitable for ages 6 and up. This one can go fast for the big kids and is lots of fun! 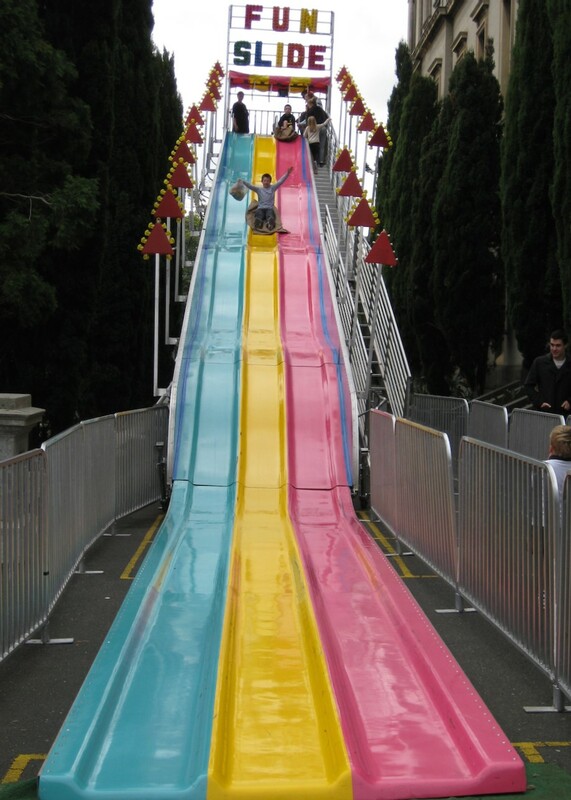 Fun for the whole family, take a ride down the huuuge slide! Something for everyone, a ride best suited for Prep to Year 2 students. Suitable for ages 8 and up. This ride is guaranteed to produce some screams and squeals in the name of fun!